Once again, I have long neglected this space. To the point where it is overwhelming to try to catch up. There has been no lack of sewing around here, if you follow me on IG you know I've been a busy bee. 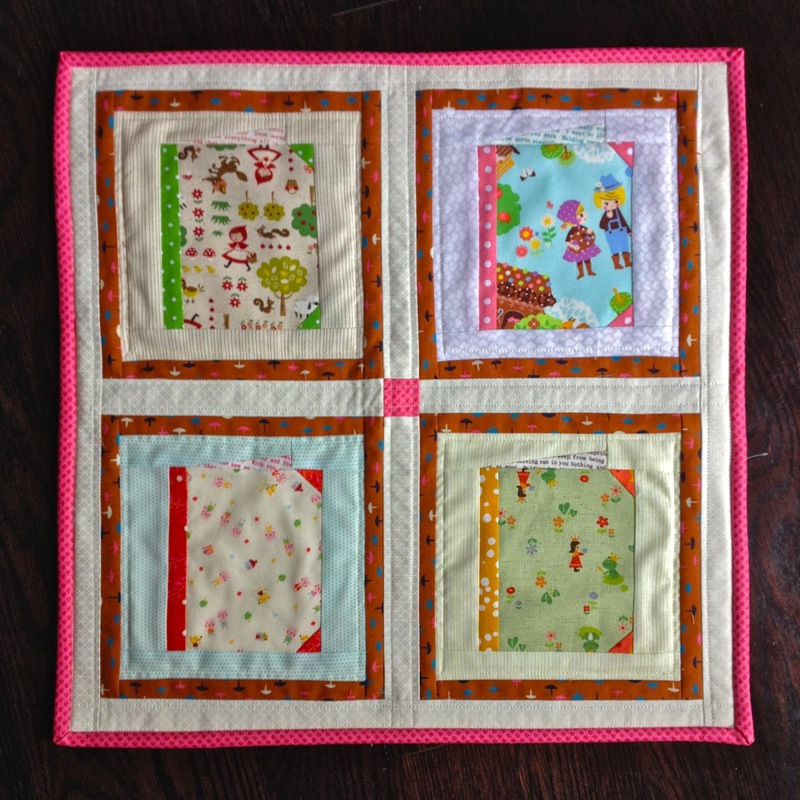 As I perused my photos to try to decide where to start I noticed that an awful lot of my projects have come from Ayumi's book, Patchwork, Please! This is not a paid post, or anything like that, I just love this book and keep finding more projects to make from it. 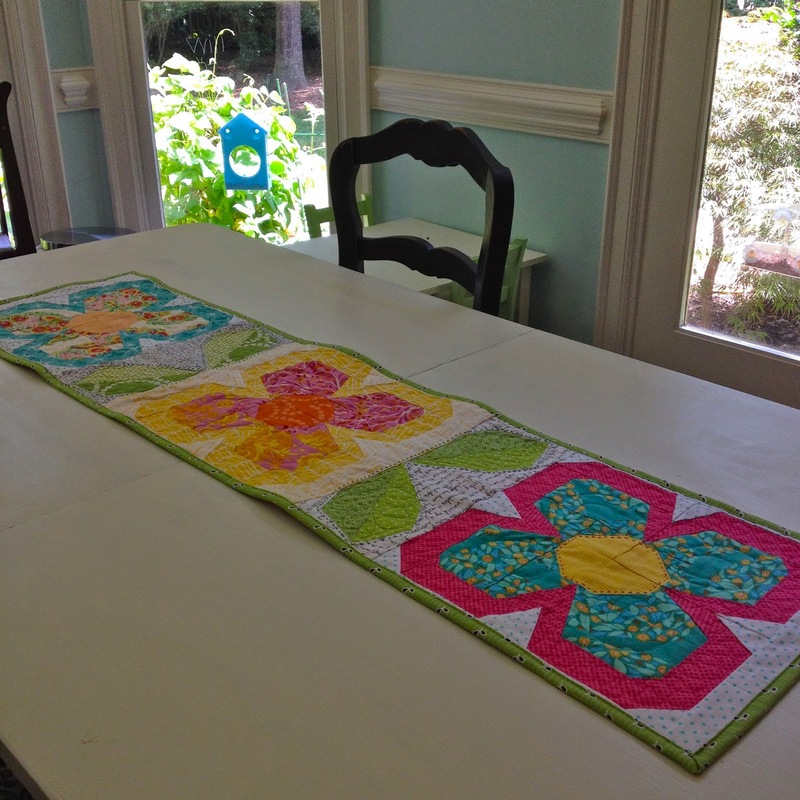 One of the first projects I made was table runner for a swap using the Swedish Blooms paper pieced blocks. 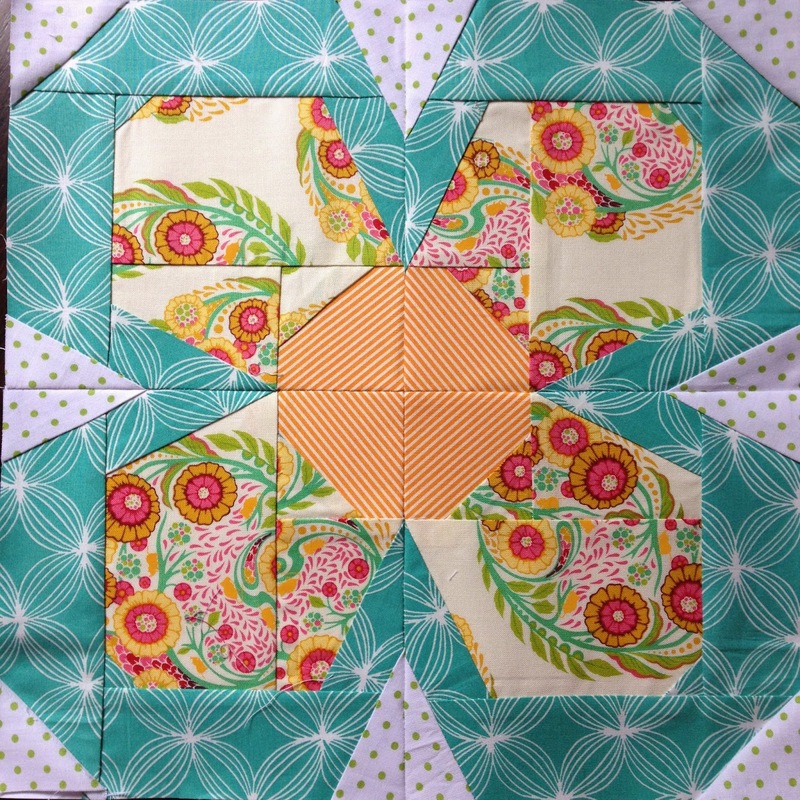 I would love to make a whole quilt with this pretty flowers! 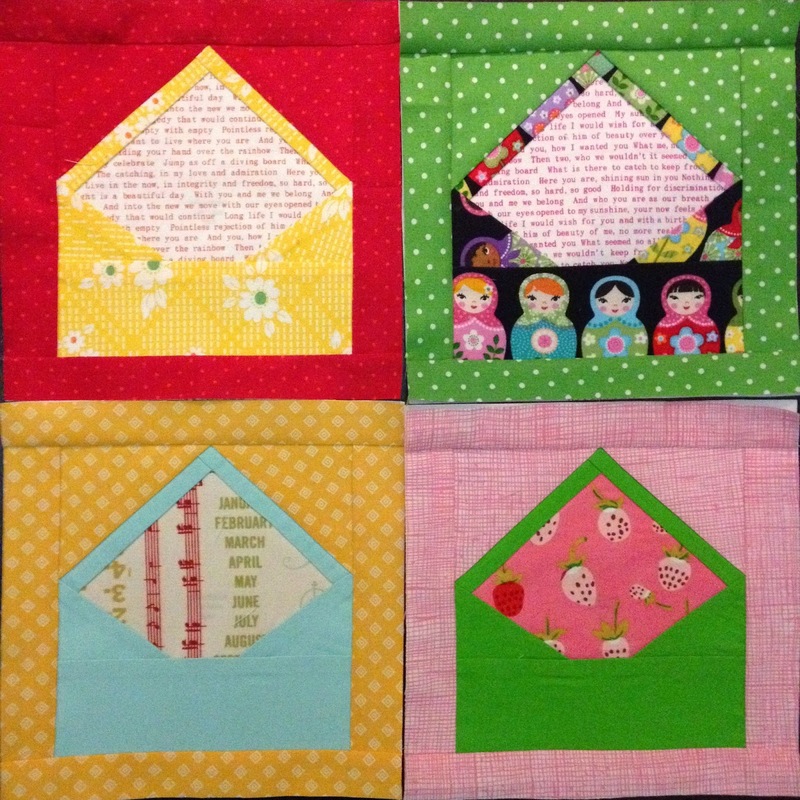 And here are some blocks that have arrived for me! 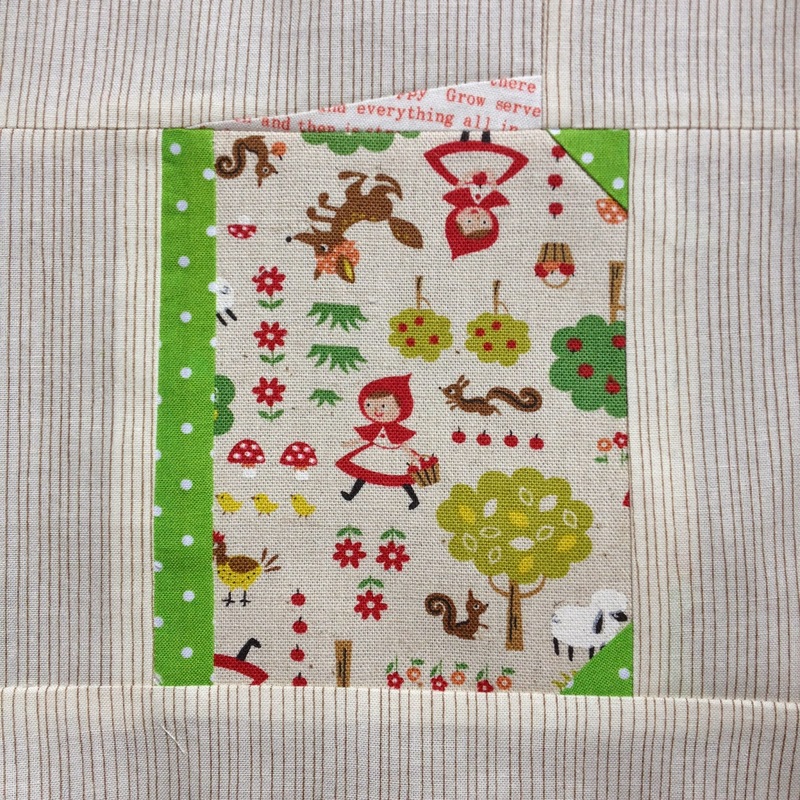 I'm trying to make a quilt for Sean's woodland nursery, so the color scheme and critters are all based on that. Another project I've made multiples of (I think four) is the travel embroidery case. The first one I actually made for myself! 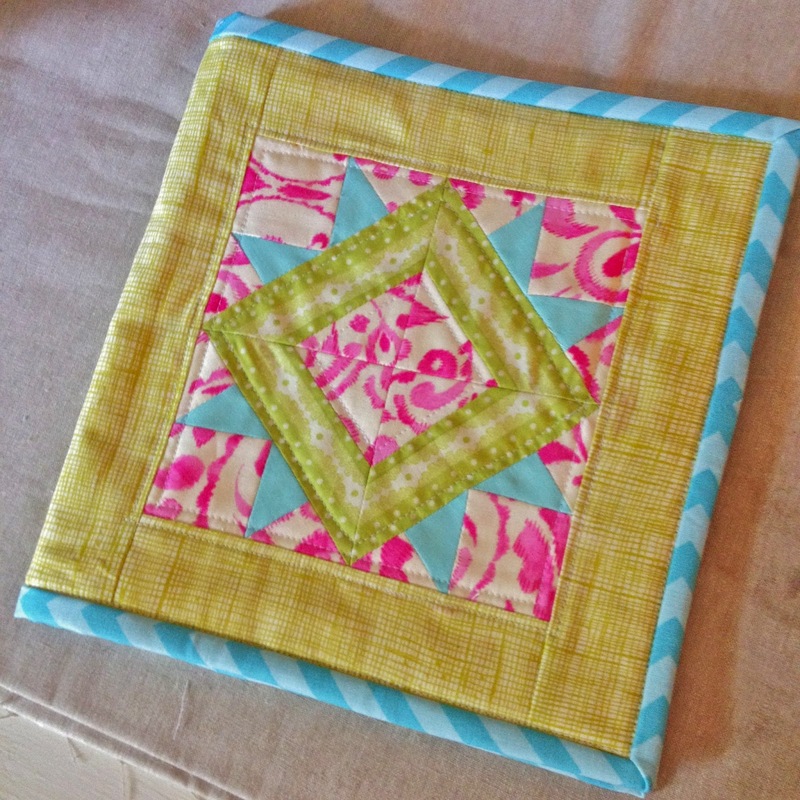 The biggest change I've made to this pattern is to use up some of my Farmer's Wife Quilt Along blocks for the front. It has been really fun to use them for these. Here are some pictures from the others I've made. 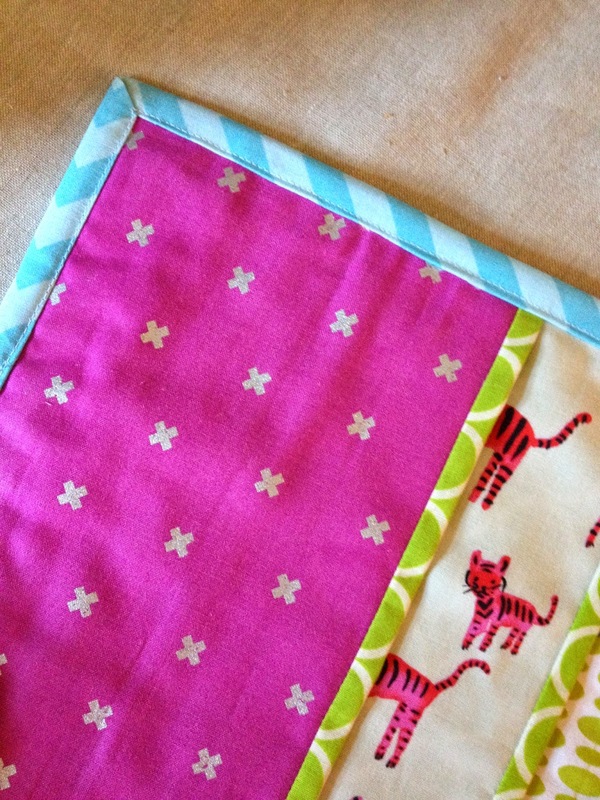 They are really fun to pick fabric combinations for since you can highlight so many without using large pieces. For the vinyl I just cut up those zipper bags that sheet sets/mattress pads/etc. come in and it's been working great. I put my scissors and floss in the vinyl pocket. The slotted pockets on the right hand side fit a folded pattern piece perfectly. 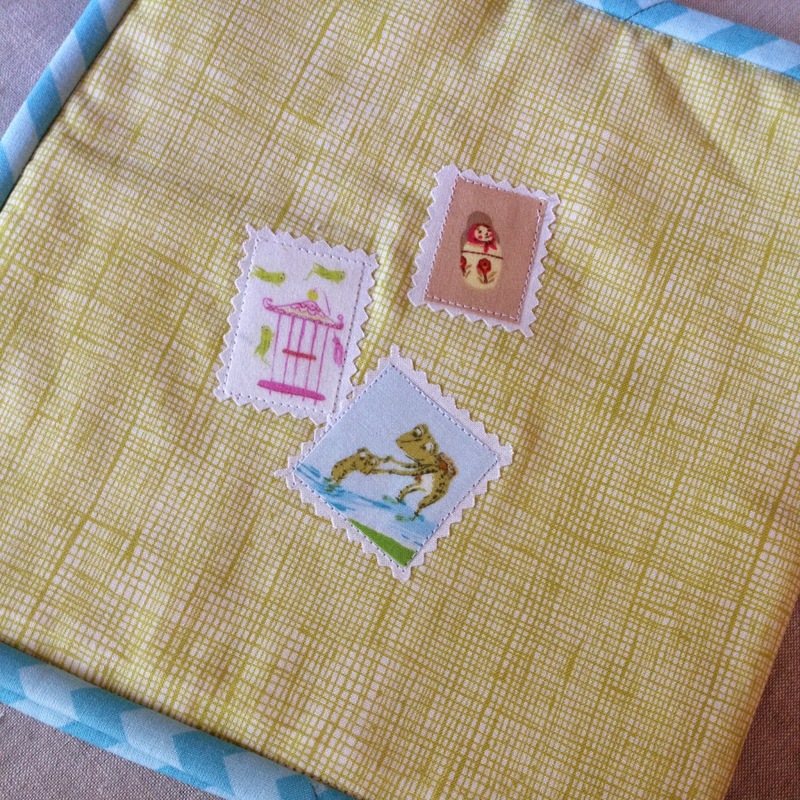 Oh, and I've found the back is a perfect spot to use some of those cute stamps from the SWAK swap! 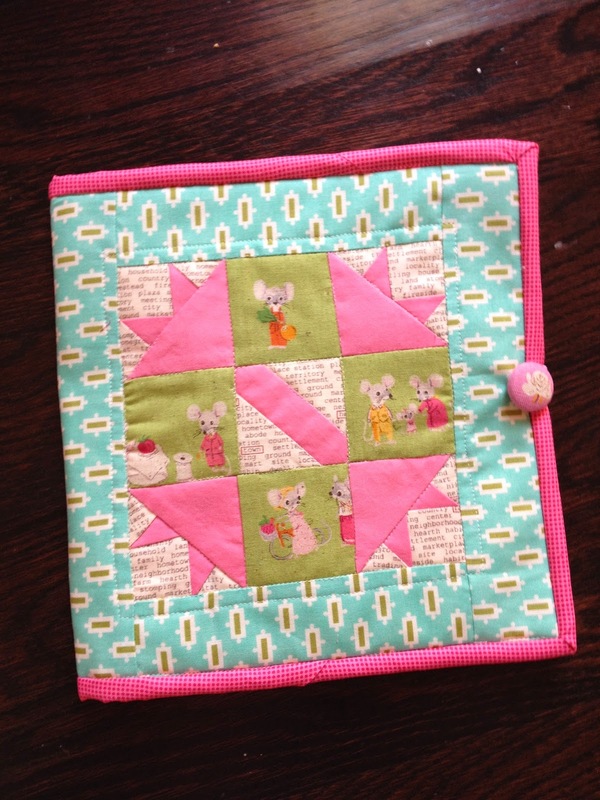 Finally, the most recent project I've made from the book is a pillow using the Books for Baby pattern. I was in a fairytale themed swap on IG and I had so much fun using some hoarded japanese prints (and a good excuse to add a few to the collection). 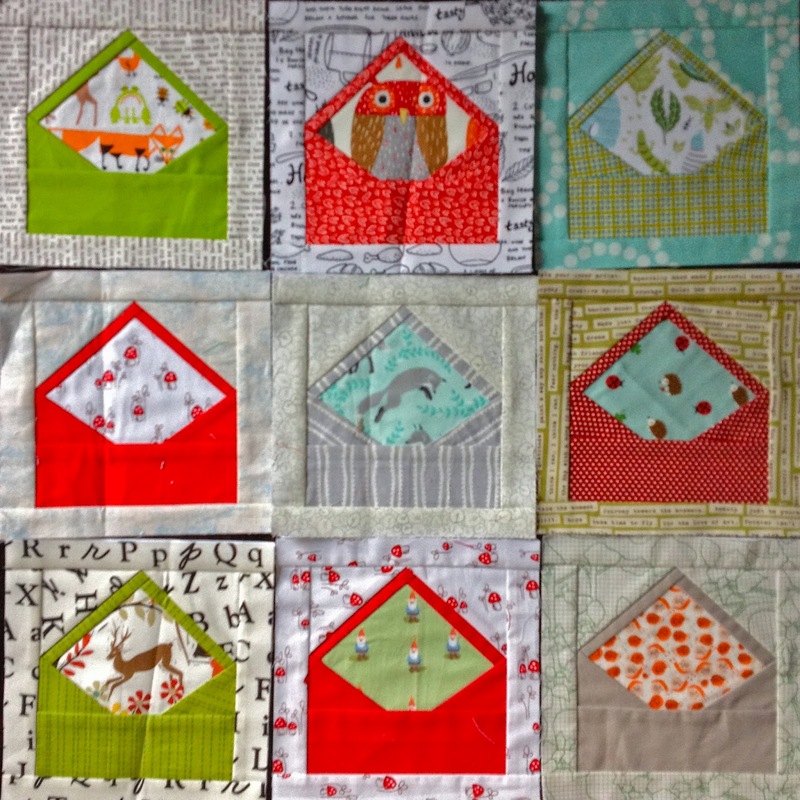 Once again, I'd love to make a whole quilt of these blocks! 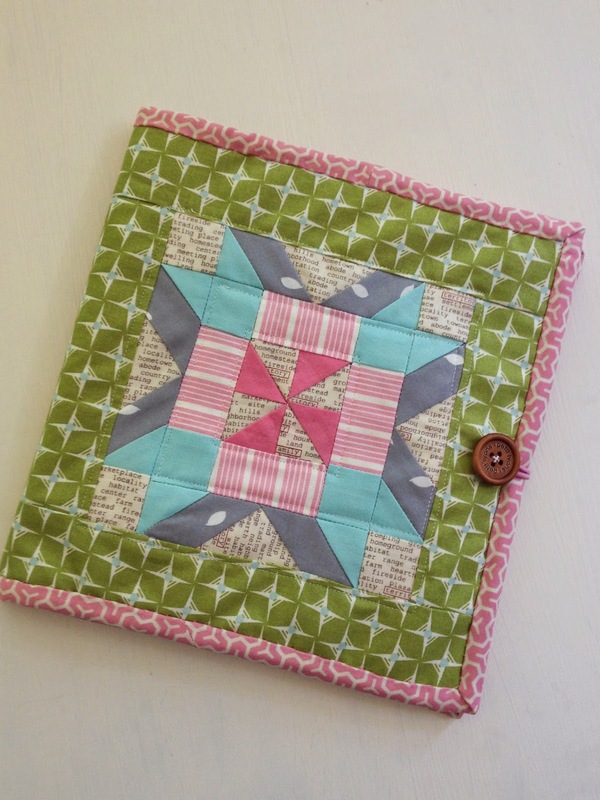 Add another one to my quilty bucket list! I should be back again next week with an update post as I got tagged for the Around the World Blog Hop. I figure if I have a few bloggy obligations it will help me to get back into the routine, as I do miss sharing here! Have a fantastic weekend! I love that book too! 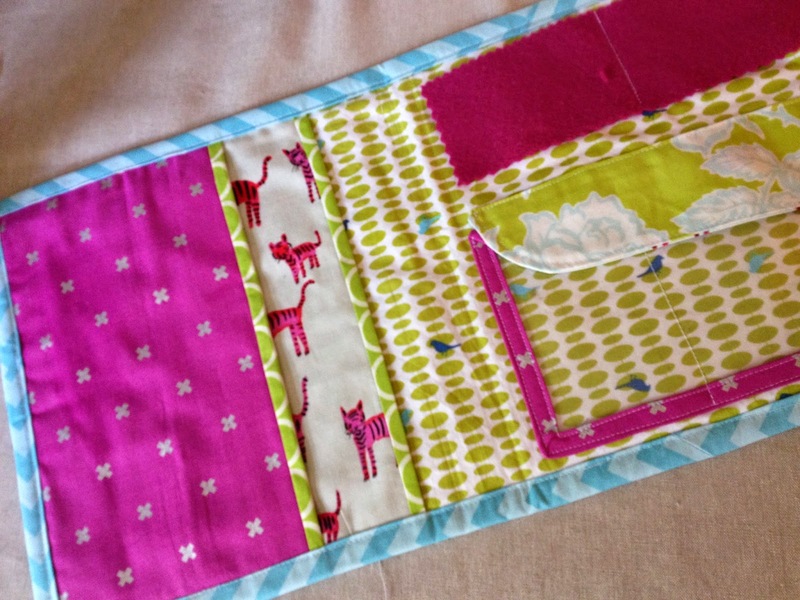 Are you going to Sew South in 2015? Love the book too! 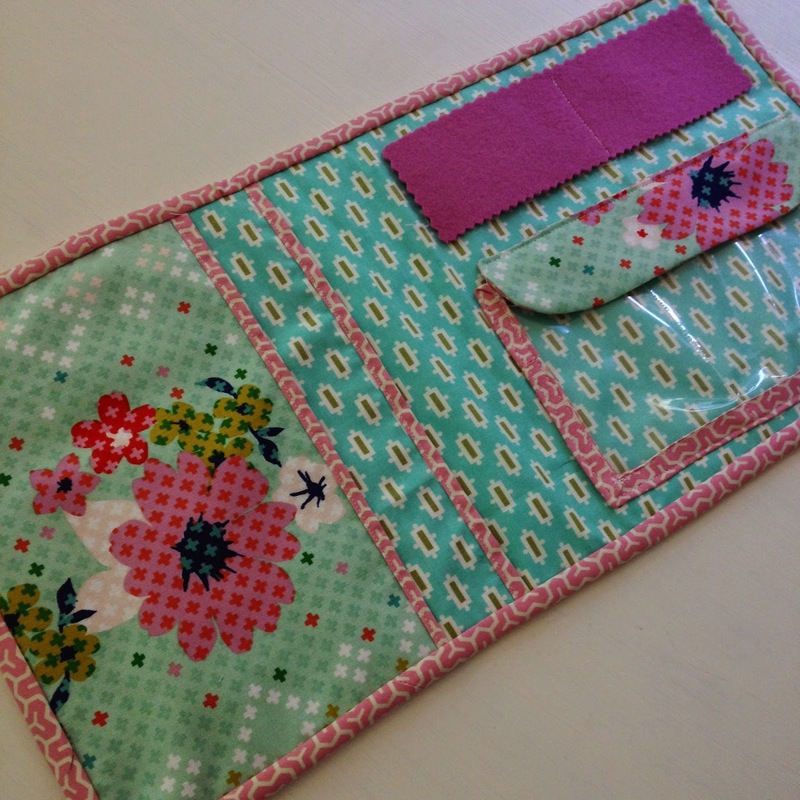 I've made a few things, but really want to do the petals and the envelopes. Yours are super cute! And I do not know how you commit to swaps with three little ones. I have an empty nest, and swaps terrify me. Good for you and obviously amazing organization skills! I was tickled to read this post, and admire the photos! I just bought this book (!) last week. Now I can hardly wait to start! Wow, you have been sewing a lot! Super cute envelopes.